Skippers can be difficult to identify and these two duskywings had our Nature Guide and me going for a little while. 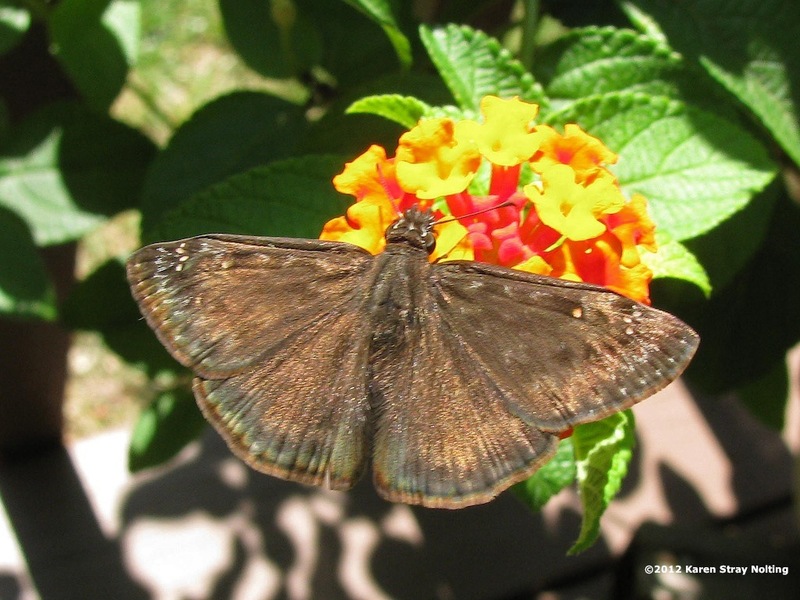 Although they look different, they are actually a male and female of the same species: Horace's Duskywing. Jon gives us some more information. 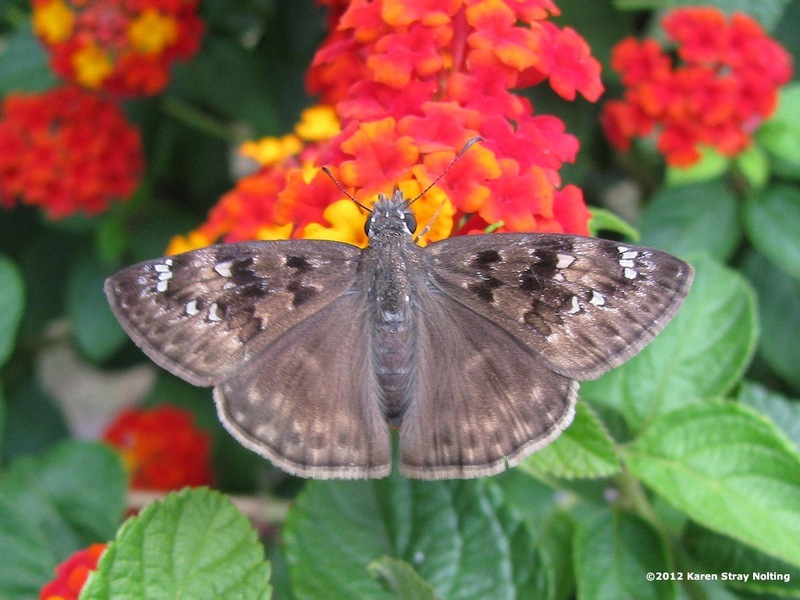 "Horace's Duskywing (Erynnis horatius) is a dark brown skipper found in our area from late spring through summer. 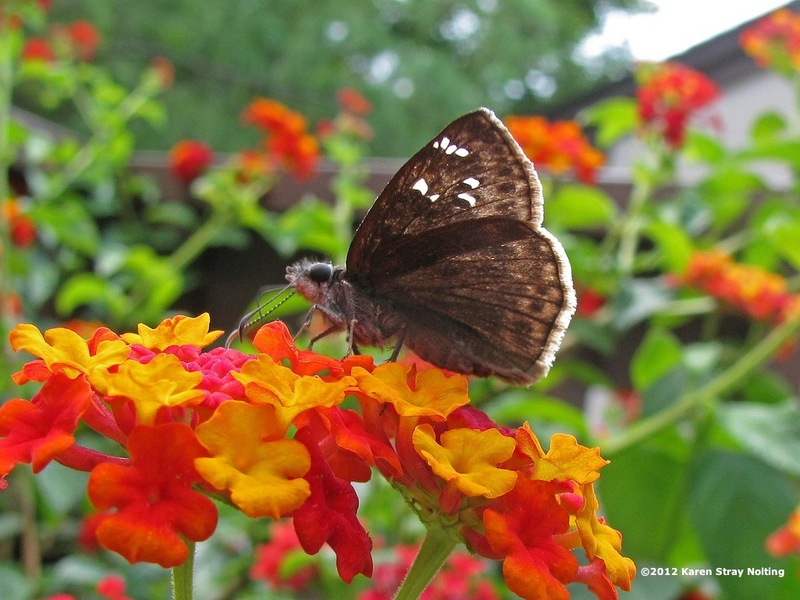 It is usually seen in sunny spots at the edges of woods or in clearings or along roadsides. It has a wingspan of 1.5 to 2 inches, which is large for a skipper. 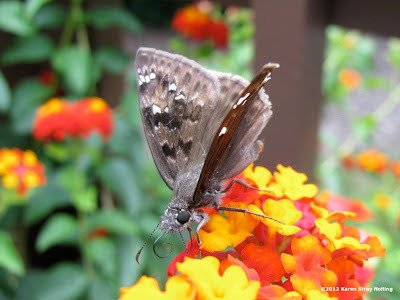 "The male has dark brown forewings with small white spots. 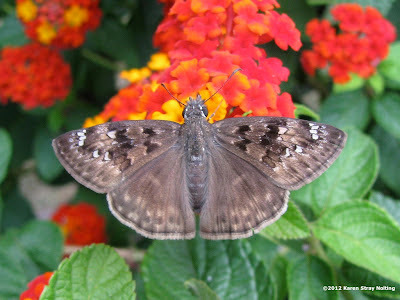 "The female has lighter, mottled brown forewings with larger white spots. 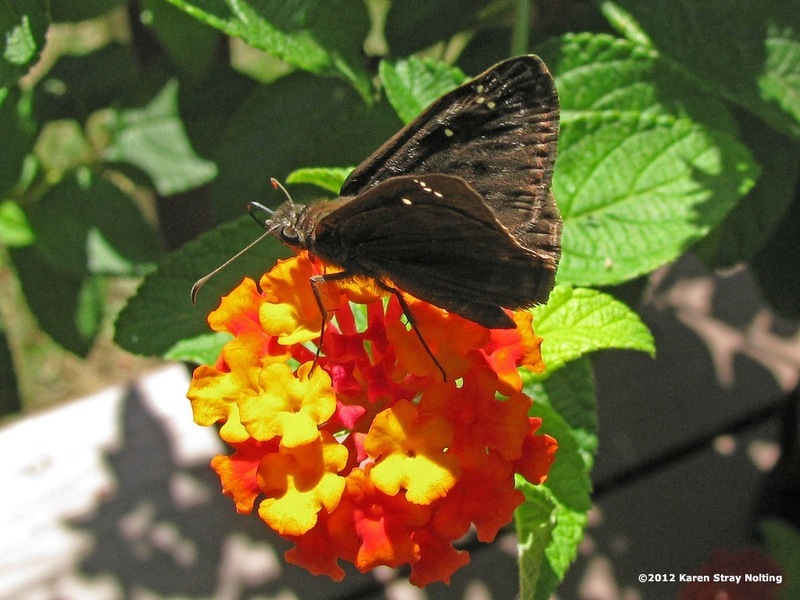 "The underside of both sexes is uniformly brown." Horace's Duskywings visit flowering plants up to about 4.5 feet tall, including goldenrod, dogbane, buttonbush and peppermint, or—as you can see here—the lantana in my garden.